We are wine drinkers, and, unless we are out (ha ha ha because really, when do we go out these days?! ), we don’t usually have cocktails. Despite being quite excited for fall to arrive, even we are hanging on to those last few days of summer. One way to do that was to make cocktails at home. At night. When the kids were asleep. When we were both actually in the same house. Skipping the laundry. Skipping the endless picking up. 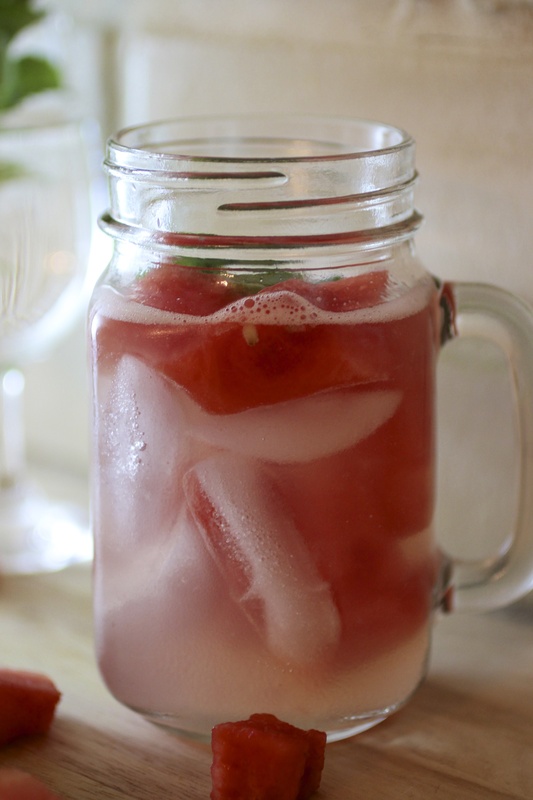 Just stopping and making a really summery cocktail to enjoy before these warm nights are behind us. 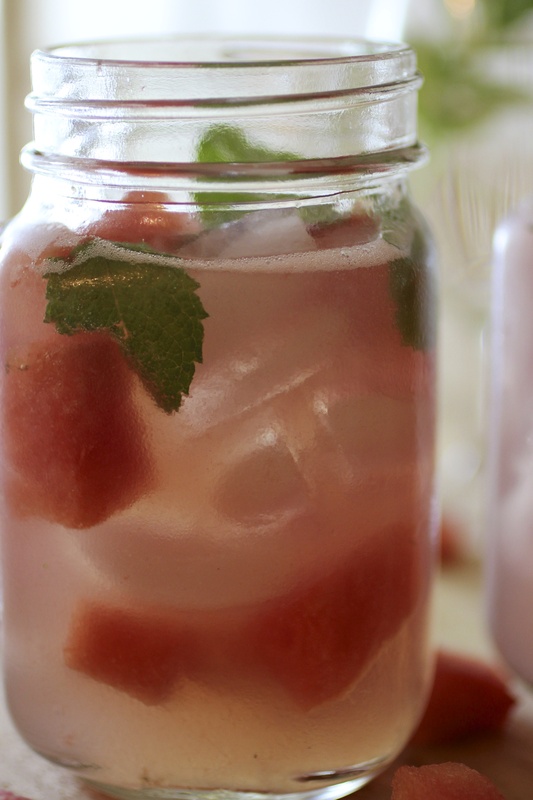 With a fresh watermelon in the fridge and loads of mint in the garden we knew we were headed to the watermelon mojito. 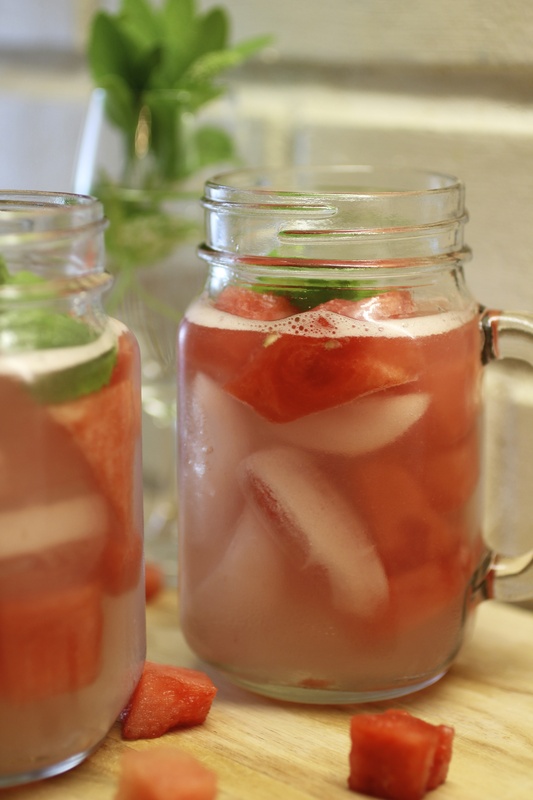 It could not be easier to make…Start by filling your glass with ice. 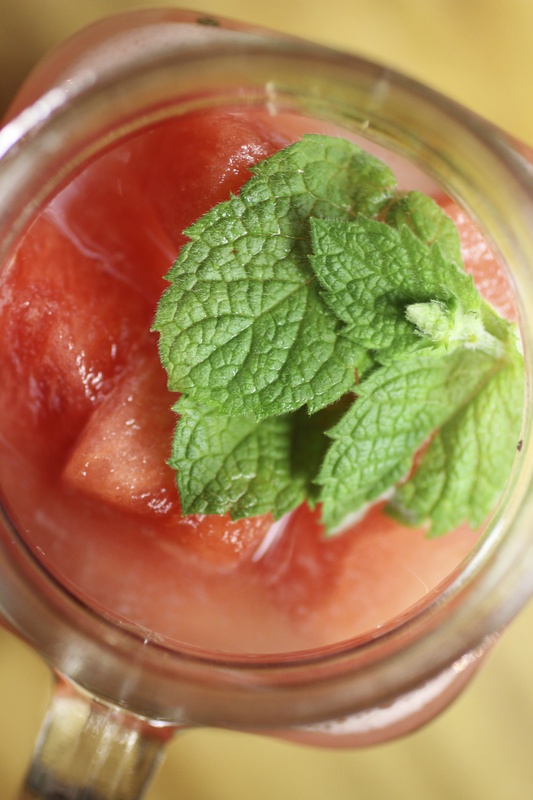 In a cocktail shaker muddle the watermelon and mint leaves and then add ice, lime juice, simple syrup and white rum. Shake. Shake. Shake. Strain into your glass and top with soda water (if you like…I do not like so kept mine plain). 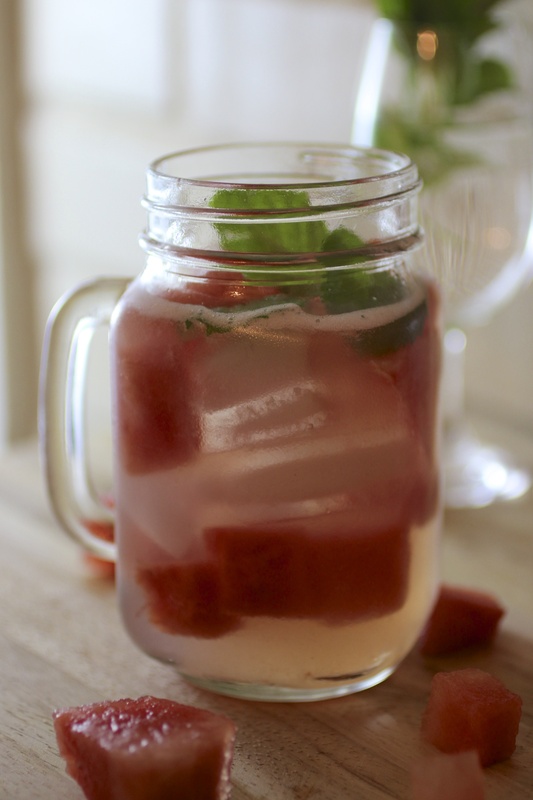 Garnish with mint. Be very careful not to drink too many because wow…they go down easy. And can we talk about how pretty they are?! The colors are so gorgeous together. A summertime favorite in our house.